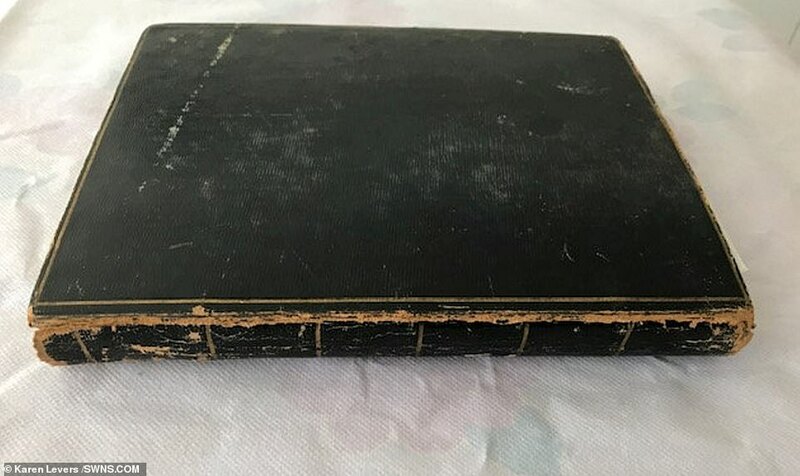 An extraordinary collections photos of Jane Austen’s family have been discovered in an old picture album bought on eBay by a history buff, offering a snapshot into the lives of the 18th century writer’s nearest and dearest. Austen, whose works including Pride and Prejudice, Sense and Sensibility and Emma are regularly cited as among the greatest novels ever written, has never been pictured herself but the remarkable discovery gives historians an unprecedented insight into the inspirations for her most famous characters. 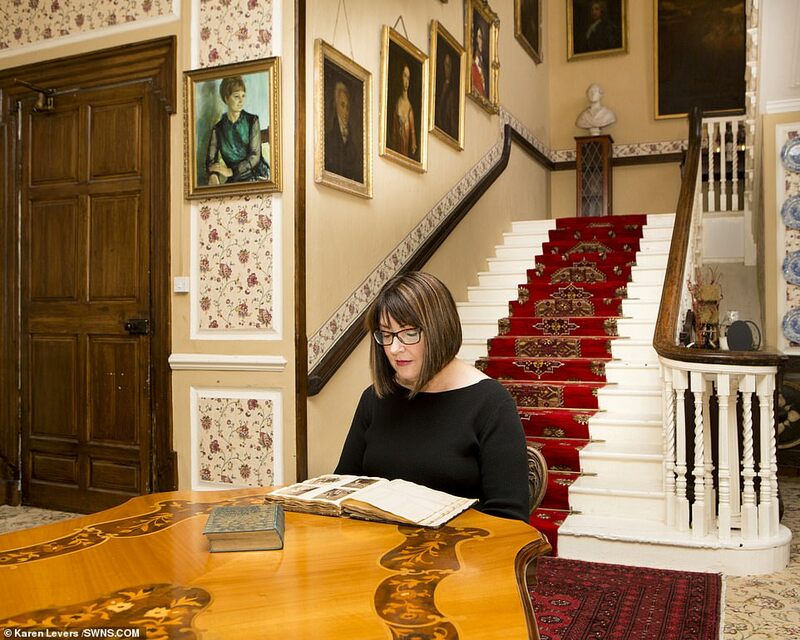 Karen Ievers, 51, bought the tatty album online expecting it to be packed full of pictures of charming – if perfectly ordinary – 19th century aristocrats in their sprawling manors and estates. But to her utter delight she found the collection to be photograph after photograph of Austen’s family – many of whose lives mirrored those in her novels. Experts said the value of the album ‘can’t be understated’ and the album shows her family ‘lived out, quite without meaning to, the plots of her novels’. 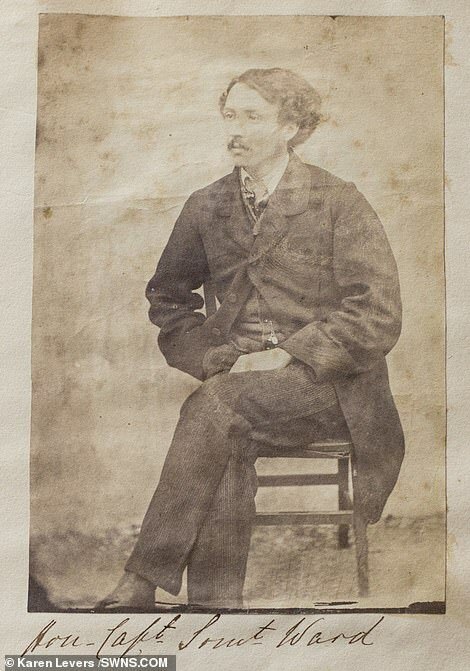 It was put together by Lord George Augusta Hill – an aristocrat who married two of Austen’s nieces, both daughters of her older brother Edward. The photos feature family members with stories which could have come straight out of the pages of her novels. There is the wedding of a heroic newlywed who lost his arm to a tiger while fighting in India, just before marrying Jane’s great niece. Others show Austen’s nephew who scandalously eloped to marry his sister’s stepdaughter. 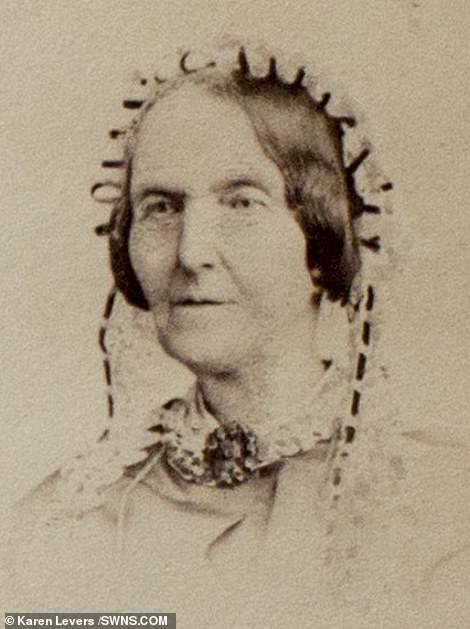 It features her favourite niece Fanny Knight, described by the novelist as ‘almost another sister’, pictured decades later than any previous sketches. The album was unknowingly discovered and brought back to its Irish home from America by Mrs Ievers who found it on eBay. 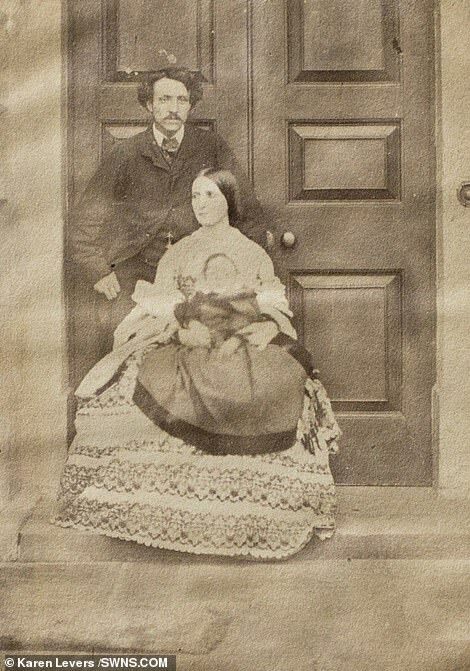 She fell in love with Irish history while researching her husband Norman’s family heritage and thought she was buying a perfectly ordinary aristocratic family’s album. It was only when she started Googling the pencil-written names beneath the photos she discovered the album belonged to Austen’s family. The true identity of the nieces and nephews was only discovered in recent years. Elated mother-of-three Mrs Ievers, from Sixmilebridge, County Clare, Ireland, said: ‘It’s just incredible to put a name and faces together. ‘It gives us a glimpse into the lives of those closest to Jane. 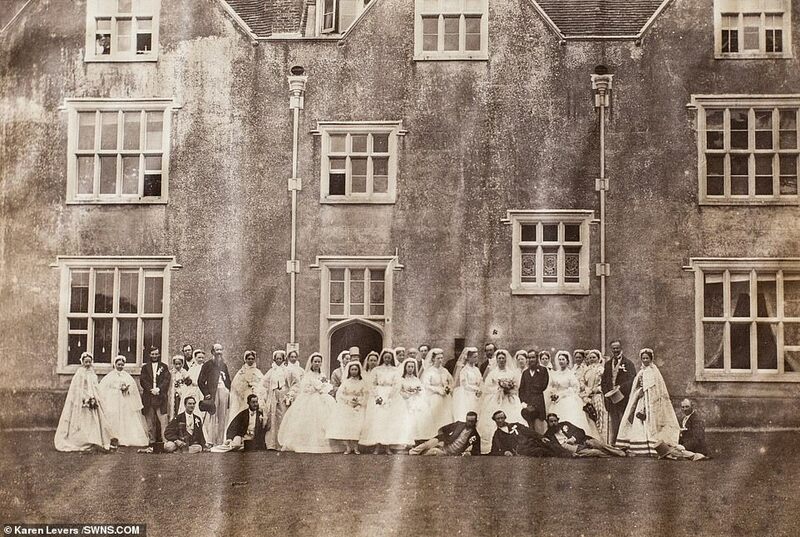 The photo of wedding at Chawton House is my favourite. ‘The sheer amount of bridesmaids is extraordinary. 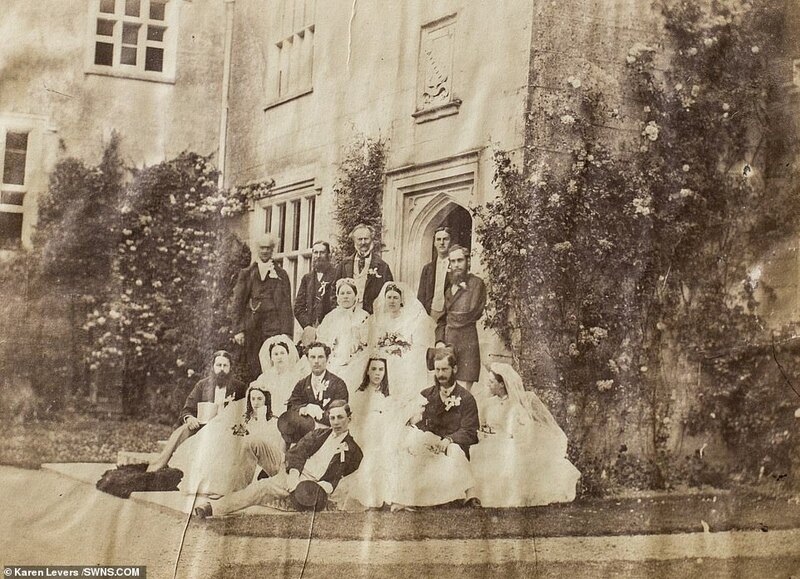 You can only pick out the bride – Jane’s great niece Elizabeth – because she has the largest bouquet. Chawton House – or rather a cottage on the family estate – is where she wrote in the last years of her life. 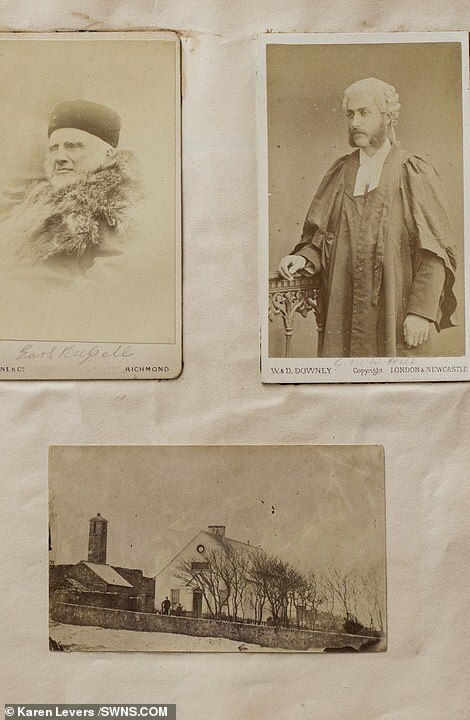 Mrs Ievers got interested in family history while researching her husband’s ancestry and the history of their home, Mount Ievers Court and bought the album off eBay in November. 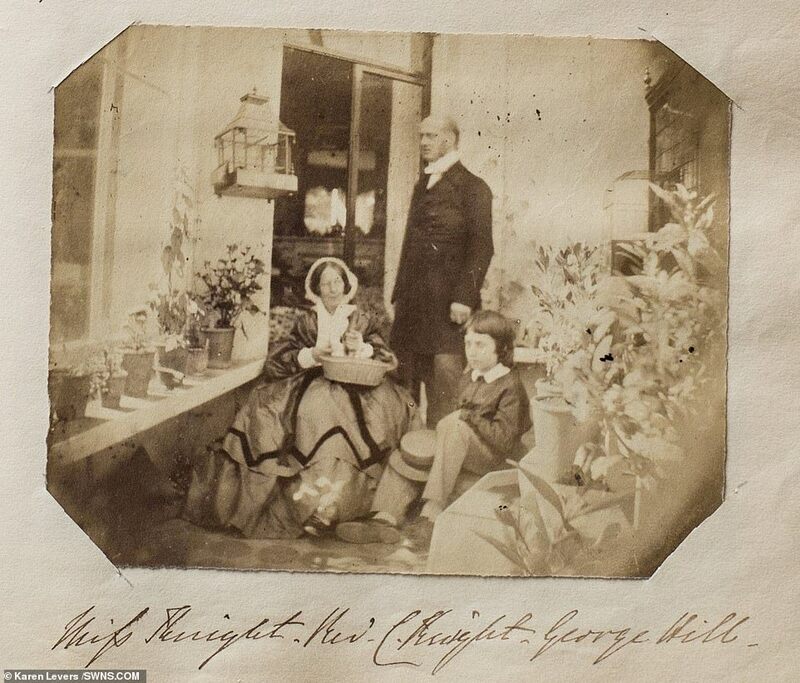 The hardbacked photo album was being advertised as belonging to Lord George Hill of Hillsborough Castle, for $2,800, but Mrs Ievers got it with an offer of $1,000. 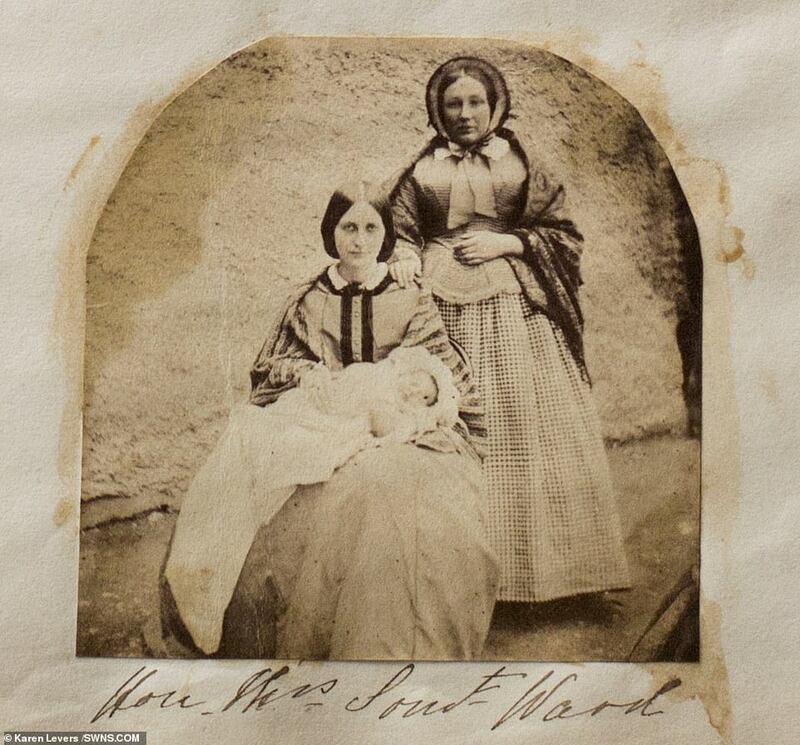 Photography was invented in the 1830s, decades after Jane died, but the photo album shows the family and places which are said to have influenced her writing. After purchasing, Mrs Ievers started researching the names. 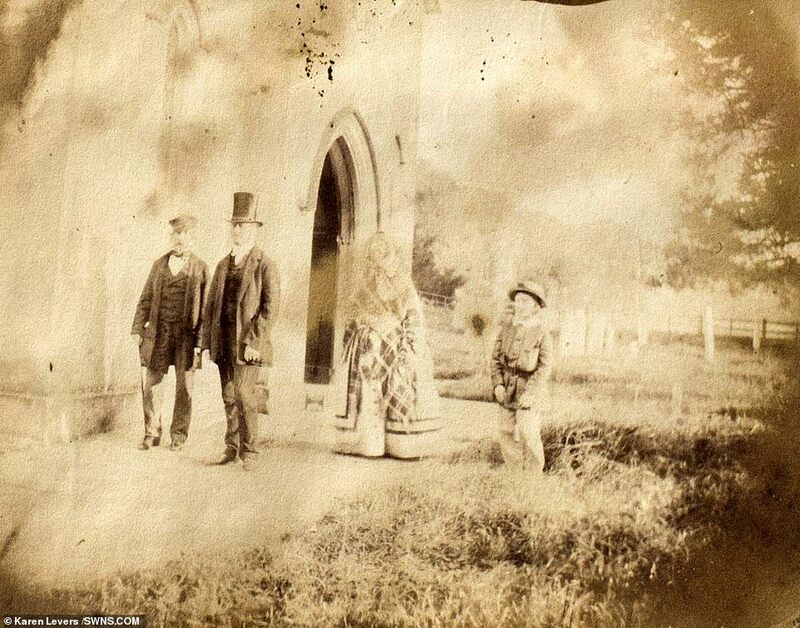 Mrs Ievers said: ‘The pictures the American seller had posted were so beautiful. ‘I was running out of stuff from the family and house to look at and I didn’t want to get bored, so I started looking online for new things to research. 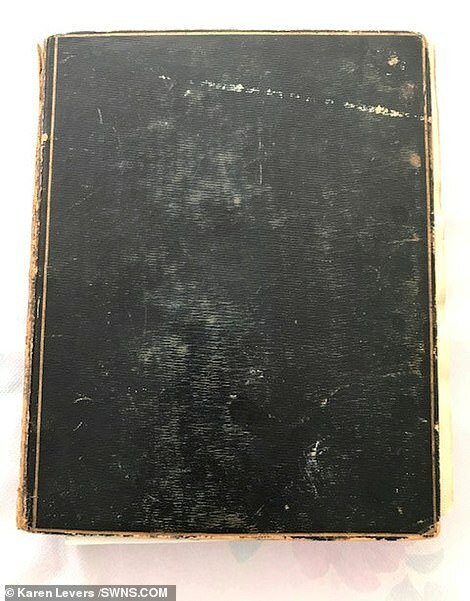 I was searching on eBay to find old Victorian photo albums. ‘I bought it thinking it would be an interesting project because it was old and related to Ireland and that was it. I – and neither did the seller I believe – know of its significance. She contacted an academic Dr Sophia Hillan via Twitter after spotting she had published a 2011 book about Jane’s nieces called May Lou and Cass: Jane Austen’s Nieces in Ireland. 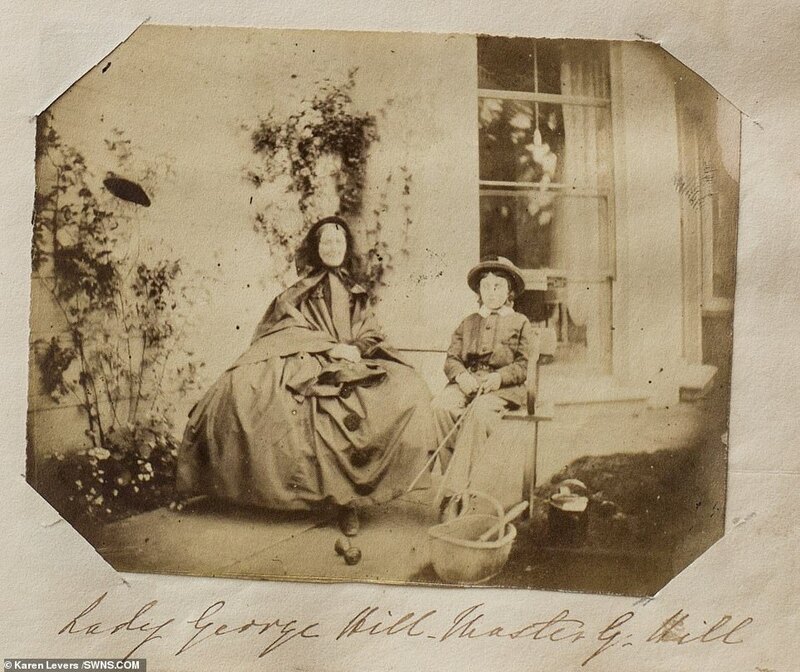 Dr Hillan only uncovered the Austens’ link to Lord George Hill in 2006 by accident, when she saw a footnote about him while preparing a lecture. 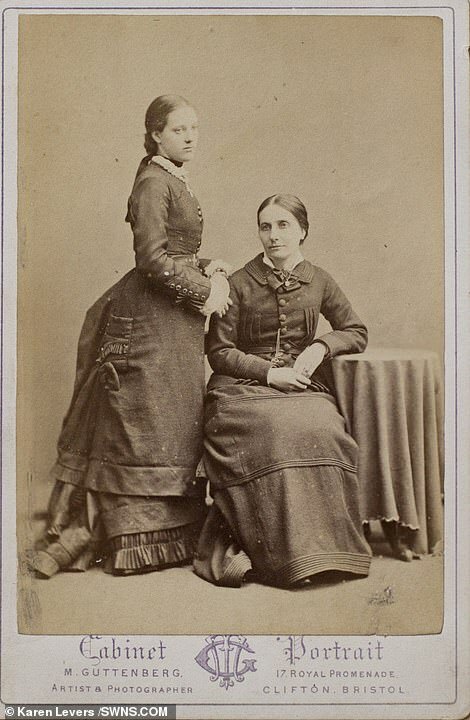 It led her on a five-year treasure hunt through historic documents, and it was only subsequent online articles about the book which enabled Mrs Ievers to work out her album belonged to the family. Dr Hillan, a retired associate director of the Institute of Irish Studies at Queen’s University Belfast, said: ‘The album is remarkable. When Karen shared some of the photos with me I could hardly believe it. ‘Her nieces were very important to Jane Austen, which gives this album a special significance. She knew them well, not least because she went to stay with them, effectively as the poor relation coming to help look after them. 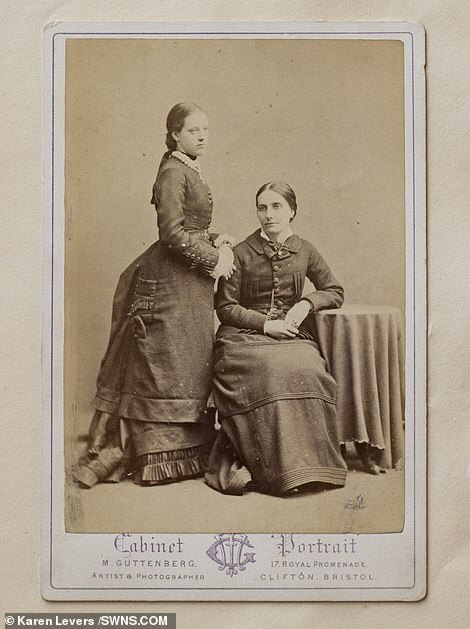 ‘She often supervised the three girls – Cassandra, Marianne and Louisa – sometimes even doing their mending, listening to their reading, taking Marianne to the theatre and the dentist when she was only twelve, or letting them stay in the room as she discussed her plots with her sister or made notes for her novels. She was part of their lives. ‘Jane Austen was dead by the time the girls grew up, but they lived out, quite without meaning to, the plots of her novels. ‘Take Marianne – her life in some ways echoed the plot of Sense and Sensibility. She found herself like Elinor and her namesake Marianne pretty much evicted from the house by her own brother. ‘And when Cassandra fell in love with Lord George Hill, his mother was less than pleased because she had no money. ‘Just as in Persuasion, they had to part for eight years until, like Persuasion’s Captain Wentworth, he returned and they could marry. ‘Lord George’s mother echoed Pride and Prejudice’s Lady Catherine de Bourgh. They were, quite uncannily at times, living out the plots of Jane Austen’s novels. 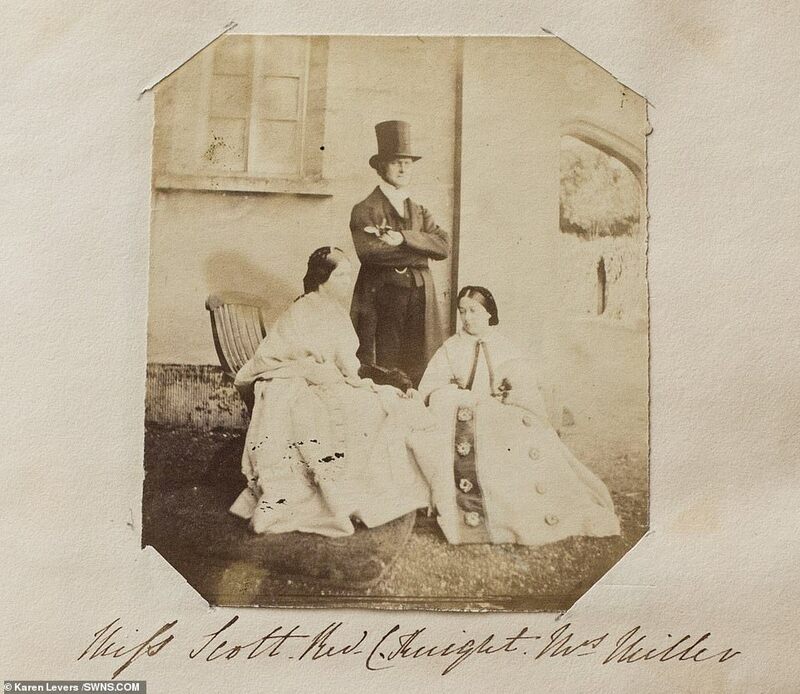 ‘As in the novels, this album shows naval and military men, women who were compelled to marry well or live upon the goodwill of male family members, foolish or devoted clergymen and questions of inheritance or disinheritance. ‘In the novels, the heroines have often lost a parent at a young age – and we see that time and time again in this album. Cassandra died in childbirth just like her mother. The parallels are there. ‘I think those parallels prove the truth of her insights, reminding us of her ability to see into the workings of the world around her, and the dilemmas that young women and indeed young men faced. ‘It reminds us of the inadequacy of claims that Jane Austen leaves out the great traumas of her time. She reflected them in her plots, so strangely re-enacted in the lives of her nieces, in this album. ‘To see these illustrated in the pages of this album underlines the universality of her work. Her work is full of deep profound truths. Historians are currently pouring over the album and experts are hoping to stage an exhibition of the photos in the future.